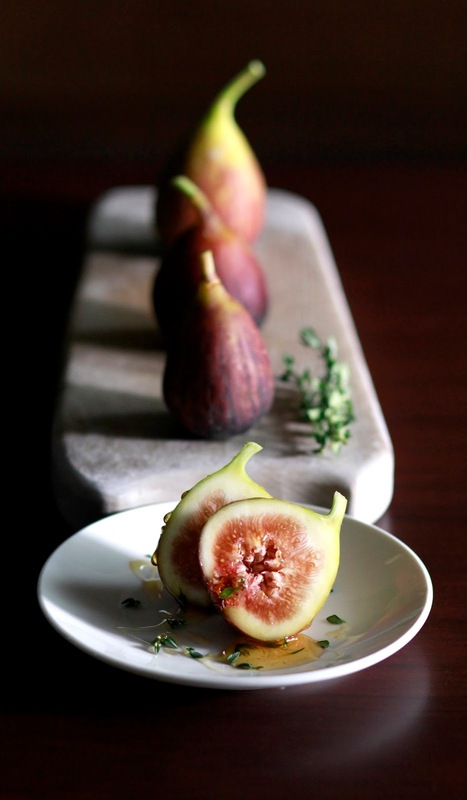 I like fresh figs. I like how the simple, beautiful shades of purple on the outside contrast with the complex white and pinkish structure on the inside. Fresh fig is very subtle in flavour and I like the combination of the slightly sweet, soft flesh against the crunchy, seedy and sticky interior. 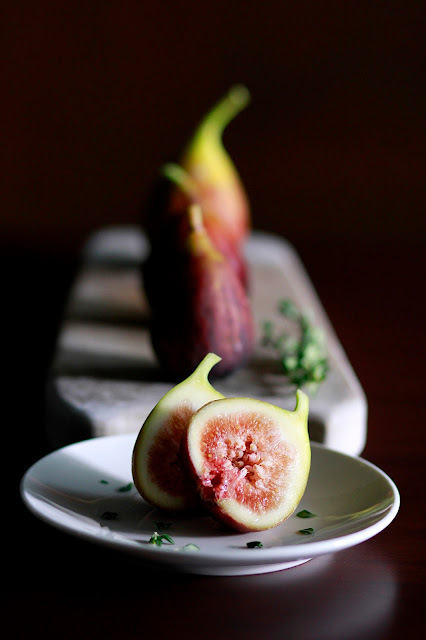 These figs are from the land of milk and honey, Israel. 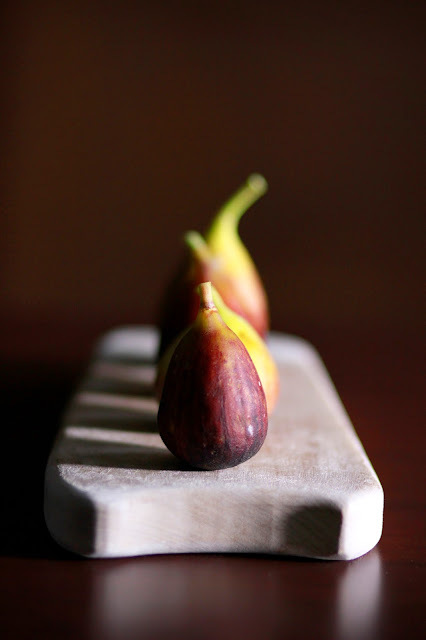 Fig season in Israel starts in June. 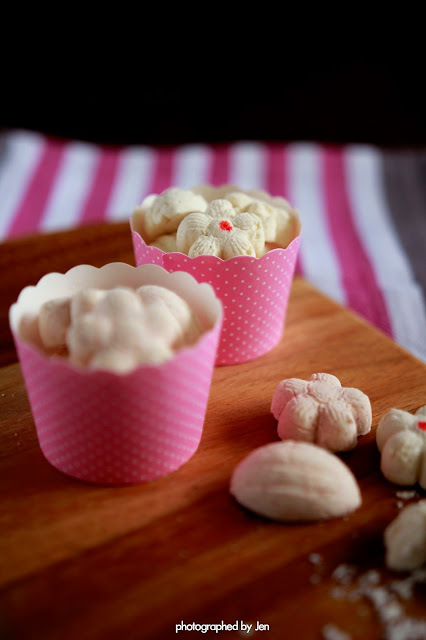 The simplicity of this recipe allows the taste and texture of the beautiful fruit to be enjoyed. 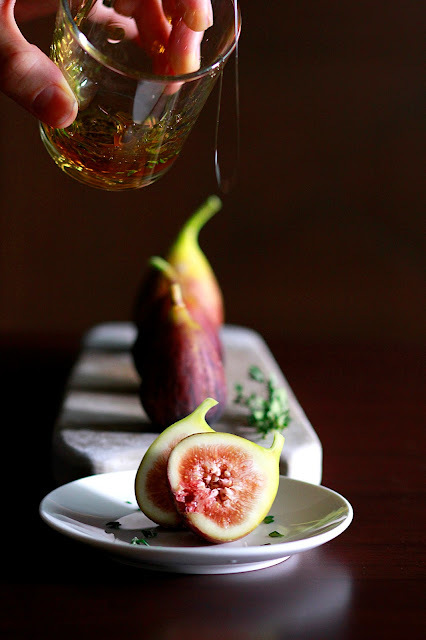 The infusion of thyme to the honey gave an interesting spin on the flavour and paired really well with the figs. Warm honey and stir in thyme. Let honey cool a little before using. 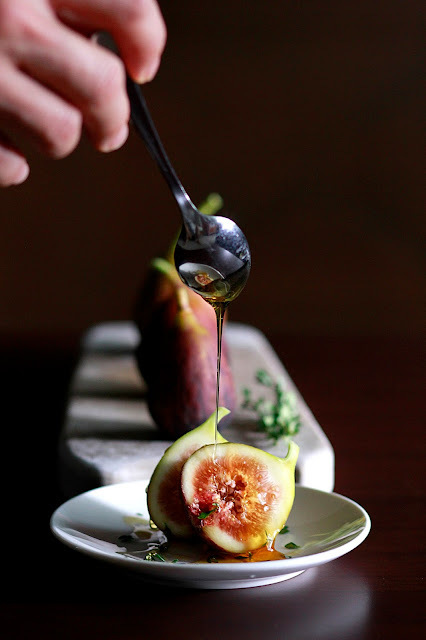 Wash and dry the figs. 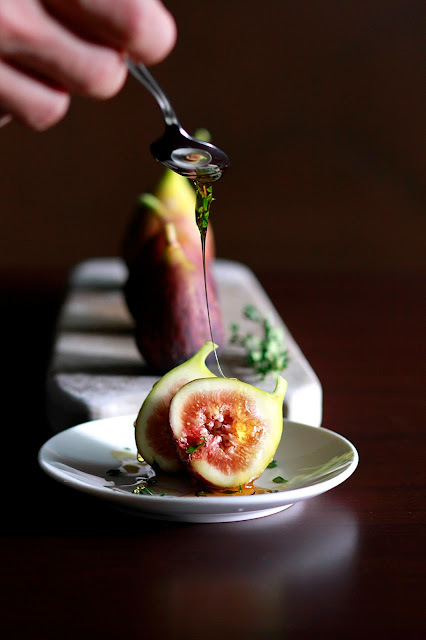 Cut the figs into wedges and drizzle the thyme infused honey and enjoy.